This is with regard to a grave and blatant defamation of The Bhutanese Newspaper by Producer and Anchor Chimi Dorji of the Bhutan Broadcasting Service (BBS) on 23rd June 2016 in an evening live show hosted by him. The live show had invited the three new parties, Druk Nyamrup Tshogpa (DNT), Bhutan Kuen-Nyam Party (BKP) and Druk Chirwang Tshogpa (DCT) to ask them if ‘it was true or false that they would merge’. Chimi Dorji who hosted and did ‘research’ for the program falsely claimed The Bhutanese had carried a story saying that the three parties would merge. Chimi Dorji named The Bhutanese Newspaper multiple times and concluded saying The Bhutanese was wrong in saying the three parties would merge as the parties confirmed there would be no merger. The truth, obvious to any reader who reads The Bhutanese is that the paper in its two articles on the issue never said the three parties would merge. It only talked about an open offer of unity by DNT and BKP’s rejection of it and DCT’s stand on it. This is made very clear in the two stories done by the paper on the issue with The Bhutanese even quoting the BKP President. The first titled “DNT’s open offer to BKP and DCT to unite against PDP and DPT for 2018’ was published on 28th May 2016. This was followed by ‘DNT offer still stands while DCT says strong third party would offer and alternative’ published on 4th June 2016. The parties in their statements on BBS not only confirmed the two stories by The Bhutanese but also said largely similar things they had already told the paper in the articles. DNT and DCT in the show said a discussion on potential unity was held while BKP denied it. 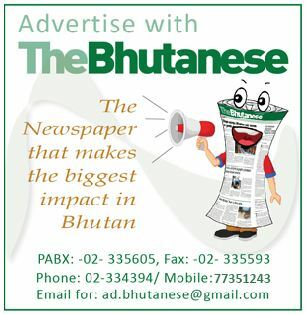 The Bhutanese had already reported the same based on written email questions and answers with all party leaders which are still in the possession of the paper. However, the false assumption, incorrect line of questioning and defamatory conclusion by Chimi Dorji was carried live on BBS for close to three hours on prime time television in between the eight o’clock, nine o’clock and ten o’clock news. The show was rebroadcast on the 24th morning and will likely see repeat telecasts. Though the show named and talked about The Bhutanese and its story several times, no representative was called from The Bhutanese nor was its side of the story sought. The very basics of journalism, in terms of verifying facts and hearing the other side was ignored. In short, Chimi Dorji falsely ascribed a story and fact not published by the paper. This was made worse by Chimi Dorji declaring The Bhutanese ‘story’ that never existed to be false. The entire show was expressly designed right from its flawed topic title to its conclusion to defame The Bhutanese. The Bhutanese demands a public apology from BBS and a retraction of Chimi Dorji’s comments which he made on the show on BBS prime time itself. This is especially so given that BBS is the sole National Broadcaster with a wide reach and currently enjoys complete broadcast monopoly in Bhutan. Any misrepresentation on such a national platform leads to a strong damage of any individual or company’s reputation. If this is not done to the full satisfaction of The Bhutanese then the paper will be left with no alternative but to defend its reputation in the court of law and other appropriate regulatory agencies against Chimi Dorji’s false and mischievous statements. We hope that the matter can be resolved without having to end up in the court of law, but the paper will have no option if appropriate measures are not taken by BBS to correct the facts.